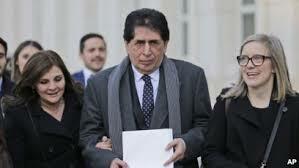 Jimenez, a former member of FIFA’s committee for Fair Play and Social Responsibility, was found guilty in 2016 by a Federal Court in New York on counts of racketeering and wire fraud. He was subsequently thrown out of football for life by FIFA. Jimenez could have served several years behind bars but on Tuesday US District Judge Pamela Chen Judge Pamela K. Chen concluded his cooperation and remorse mitigated the situation. Jimenez, who ran Guatemalan football from December 2009 and May 2015 was allowed to take back his passport and return to his country, court documents showed. Jimenez said that at the time of the crime, he had been a longtime alcoholic. He said he had been attending Alcoholics Anonymous meetings in Miami and undergoing counselling.